To begin with, we should emphasize that Customer Insights was never intended to be a full-fledged monitoring and alerting system (like, say, SIEM Integration). Customer Insights is for data analysis, and not for monitoring and alerting. So now that we've told you that Customer Insights is not a monitoring and alerting system, let's introduce today's topic: using Customer Insights as a monitoring and alerting system. Yes, we know: that's not what Customer Insights was intended for. As it turns out, however, for certain things, and under certain conditions, you can use Customer Insights to query for, and to alert you about, anomalous occurrences on your website (either good or bad). It might not be the ideal tool for this, but it works, and – as you're about to see – it works very well. What is a Conditional Alert? In the software world, a "conditional statement" is the way developers refer to an if-then statement: if X is true, then do Y. There's nothing magical, or even technical, about that; we use conditional statements all the time in real life. If the door is locked, then ring the doorbell. If the lawnmower won't start, then fill the gas tank. If – well, you know how these things work. Let's assume that you have a website where, every hour on the hour, you expect X number of new users to register. (For our purposes, it doesn't matter what Xis equal to.) Has an hour ever gone by without a new registration? Yes it has. But each time this happened it was due to a problem of some kind: users tried to register during that hour, but couldn't. In other words, an hour without a registration usually points to some sort of hardware/software/network snafu. Because of that, you'd like to be notified any time an hour goes by without someone registering on the site. If no users have registered in the past hour, then send an email alert to the following people. That's a pretty cool little trick, and we're about to explain how you pull this off. From the Explore menu, click the name of the Explore that will provide the data for the Look. Doing this adds the Hour dimension to the query, and provides a way for you to group the returned registration data by the hour of the day (e.g., between 1:00 PM and 1:59 PM) when the user registered. For the alert we're about to create, grouping registration events by the hour they occurred is crucial. Adding the API Client Name dimension serves two purposes. First, it enables you to identify which API client failed to register any users during the past hour. In addition to that, it provides a way for you to filter only on the API clients of interest. For example, you will always have at least one API client – application owner – that is rarely (if ever) used to register users. Because application owner never registers users, it will always report back 0 registrations . As a result, this one API client will always trigger the alert. Filtering out application owner, as well as any other API clients that are unlikely to register users, helps to minimize these "false alarms." This ensures that Customer Insights will retrieve data for an entire hour (i.e., 60 minutes) and not for a partial hour. 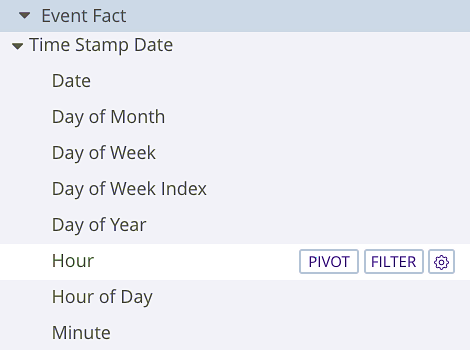 For example, if it's currently 1:08 PM, you want to retrieve data from 12:08 PM to 1:08 PM, not from 1:00 PM to 1:08 PM. If you make a mistake, just click the remove button (the X) located next to the API client you've decided not to monitor after all. And that is exactly what we were hoping to get back. That's a lot to configure, so let's get started. Note. We should note that these are not the only options available to you when configuring an alert. 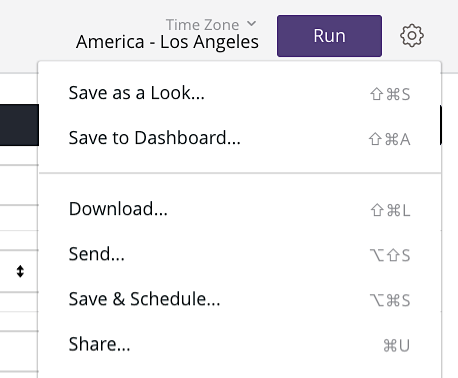 Because an "alert" is simply a scheduled data delivery, you have a full suite of options to choose from. See Scheduling Data Delivery for more information. If you change your mind, simply click the delete icon (X) on a user box to remove that user from the email list. Oh, and remember, you can send this data to anyone: the recipients do not need to have a Customer Insights account. Although a custom message is optional, it might be a good idea to include one. That way, users will know exactly what the emailed alert is for, and what they should do in response to it. In addition to that, you might have noticed that we placed one constraint on the schedule: we limited the query to running between the hours of 6:00 AM and 6:00 PM. For our hypothetical website, that makes sense: we rarely, if ever, get user registrations outside those hours. That means that, if we failed to include this constraint, we'd probably get alerts at 7:00 PM and at 8:00 PM and at 9:00 PM and …. Getting alerts every hour, even when nothing is really wrong, often defeats the purpose of setting up alerts in the first place. However, we could add additional API clients to this alert if we wanted to, even though those clients weren't specified in the original Look. Alternatively, we might want to delete API clients. 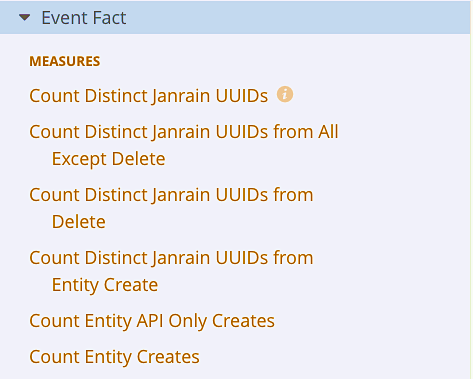 That way, we could create one alert solely to monitor login client, and a second alert solely to monitor the janrain API client. By doing this, a single Look can serve multiple alerting purposes. Doing that means that we'll get an email alert onlyif results are returned (which means that at least one API client failed to register a user). If no results are returned, we won't get an email. Which, again, is exactly what we want to happen. And yes, that is pretty cool. And, needless to say, you're not limited to registrations that took place in the past hour. For example, suppose you've embarked on a campaign to attract more registered users under the age of 25. You could follow this same approach to alert you if a day goes by without any under 25 registering. Alternatively, you could use this approach to verify that users from outside the US are signing in every day. You could – well, again, you get the idea. If it's an event that Customer Insights tracks (and, admittedly, there are a number of important events – like profile updates or password changes – that Customer Insights does not track) you can monitor and report on occurrences of that event. It's not a replacement for SIEM Integration, but, as we just saw, it can still be a very useful tool.